OMG! Is this truly the end of Florida Man, or will someone else step up to take his place? Florida Man torn apart by his Carowary. The Alachua County Fire Rescue Department said that a cassowary killed the man Friday on his property near Gainesville, likely using its long claws. The victim, whose name was not released, was apparently breeding the birds, state wildlife officials said. 'The cassowary can slice open any predator or potential threat with a single swift kick. 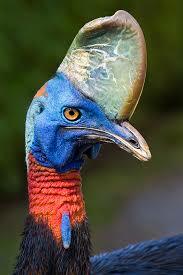 Powerful legs help the cassowary run up to 31 miles per hour through the dense forest underbrush,' the website says.